Dr. Baldwin first decided to be a dentist in 5th grade. He became actively involved in dental care in 1975 becoming coordinator of the San Diego State University community Preventive Dentistry Program. Since that time he has worked hard to help people improve their dental health and quality of life worldwide. After graduating from U.C.S.F. Dental School in 1982 he has been in private practice in Berkeley and San Francisco. He has spent years teaching, doing research, working as a Qualified Medical Examiner for California, along with helping to develop community programs for children and people in need. He also has traveled around the world providing care. Our practice is small, personal and family oriented. 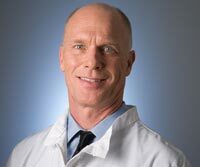 Dr. Baldwin has experience in virtually all areas of dentistry. We focus on prevention but take pride in offering high quality, minimally invasive holistic care. We provide services for all areas of dentistry and really educate patients on their conditions, relations to overall health, options, and simple things that can greatly improve their health and wellbeing, while keeping money in their pockets.